The Belgrade fortress at Kalemegdan overlooks the beautiful surrounds of the city where the River Sava meets the great Danube. 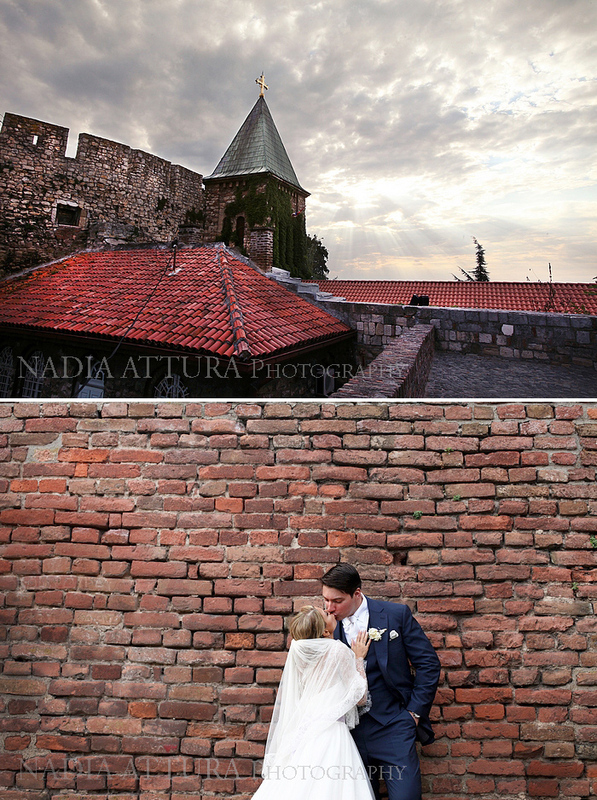 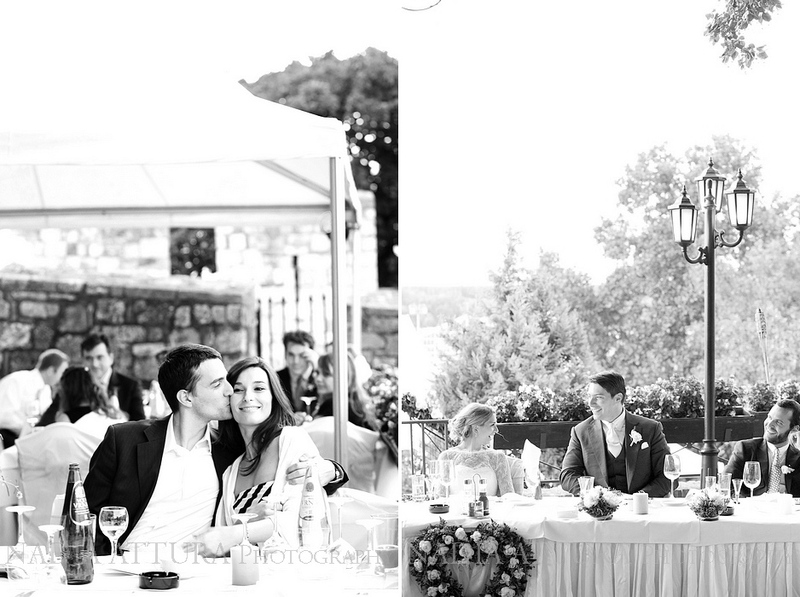 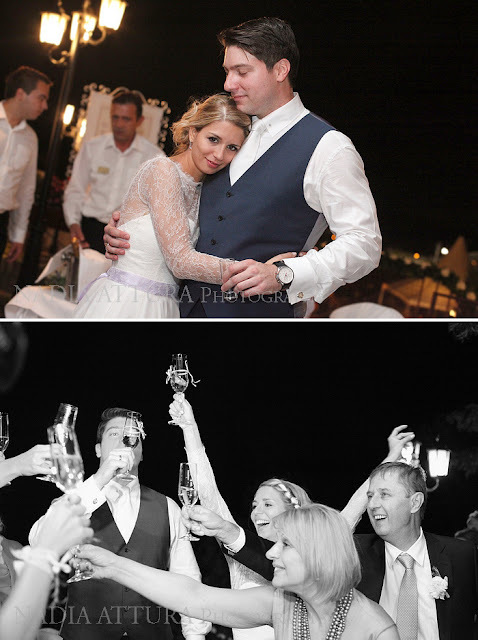 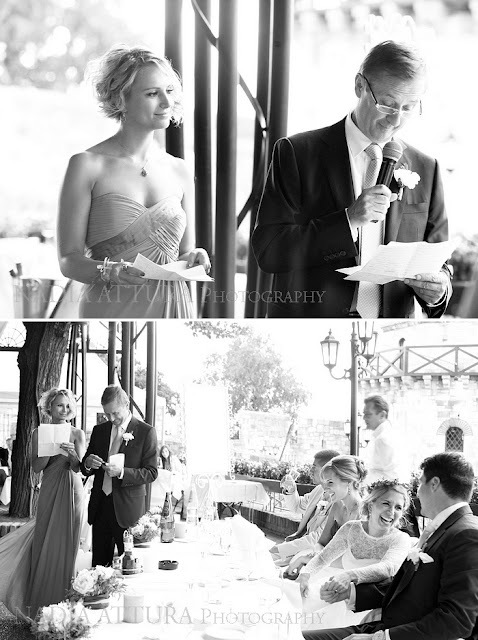 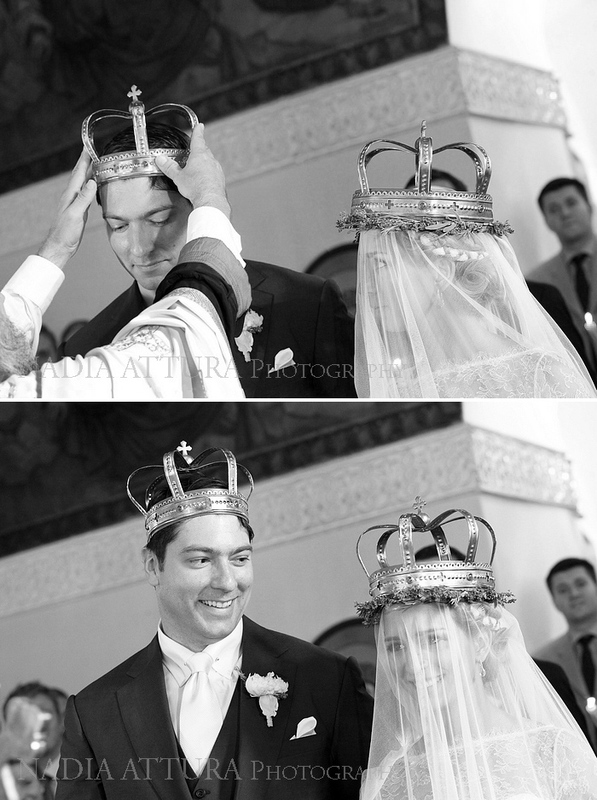 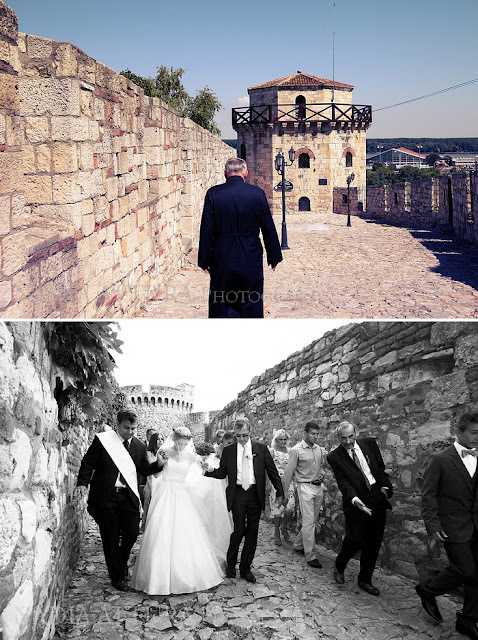 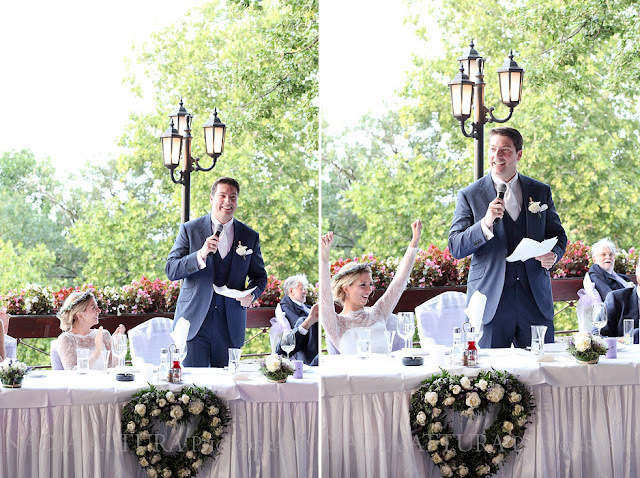 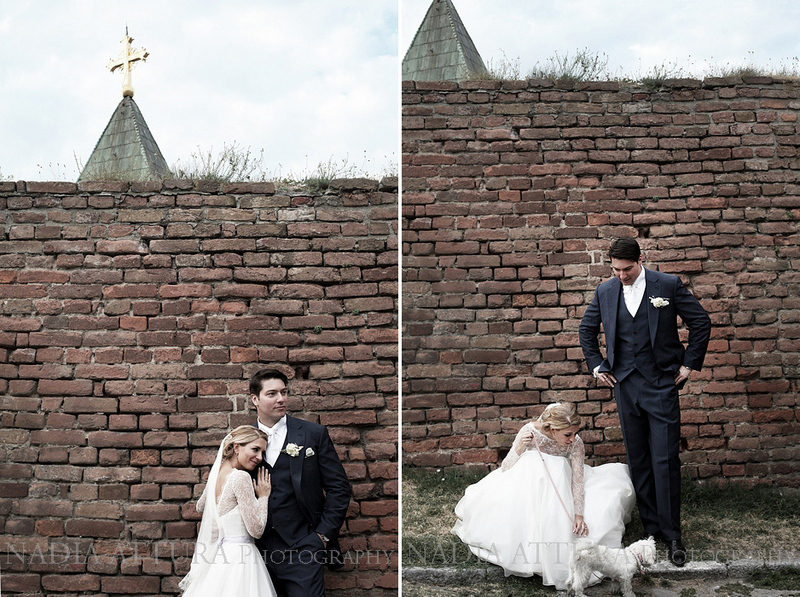 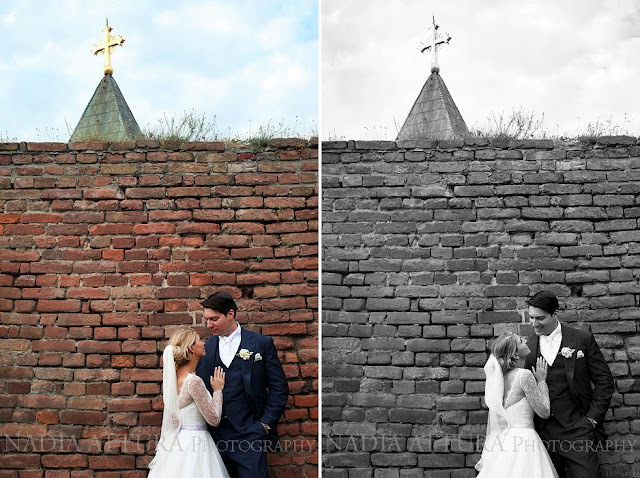 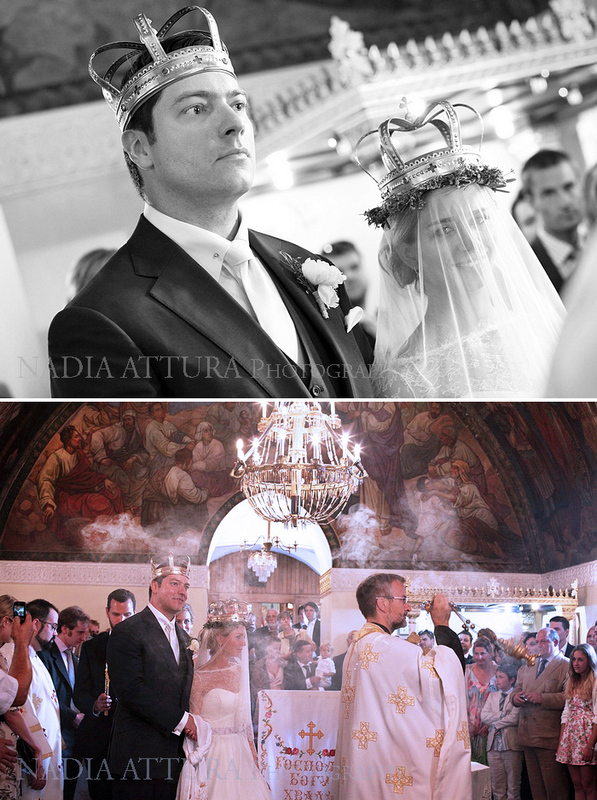 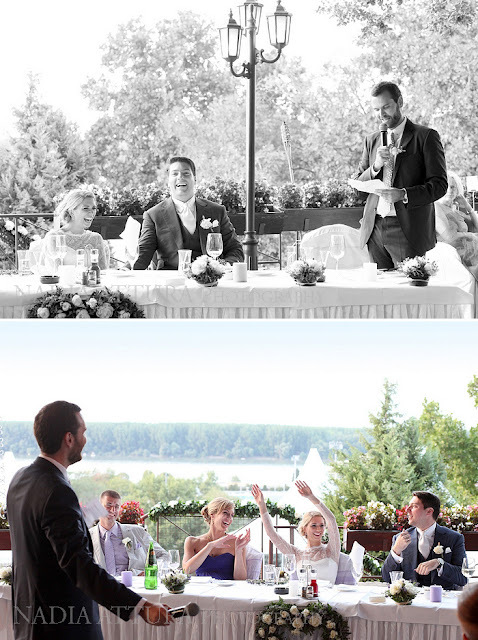 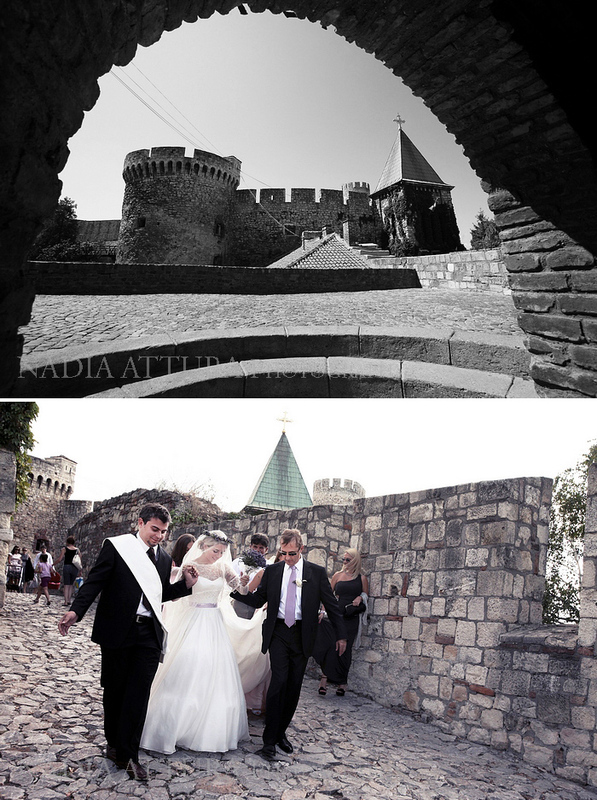 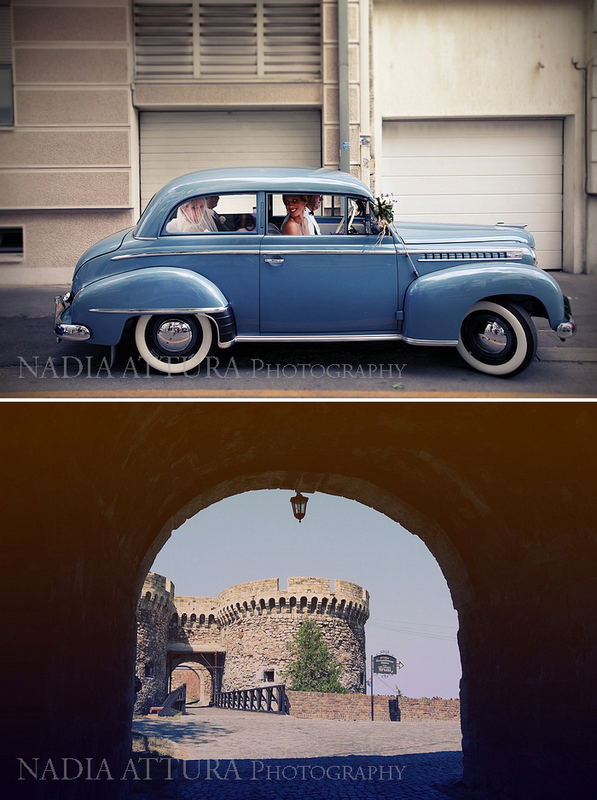 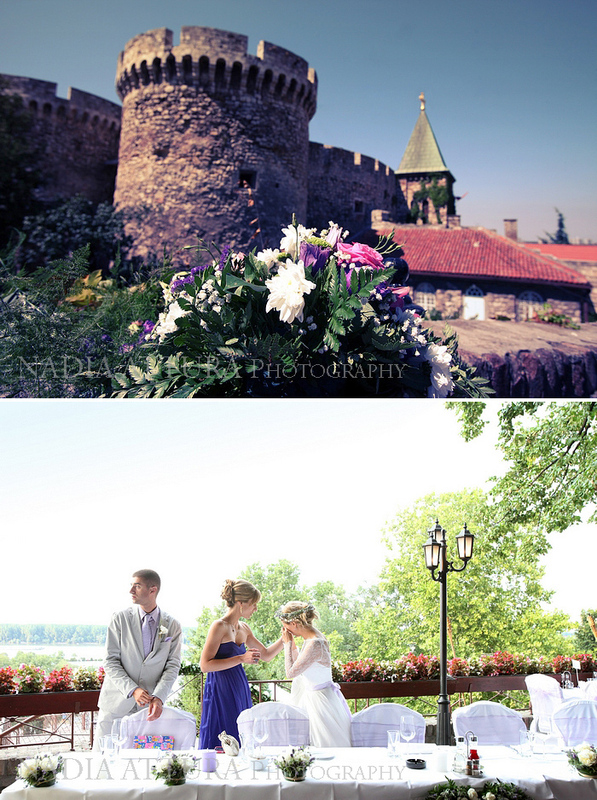 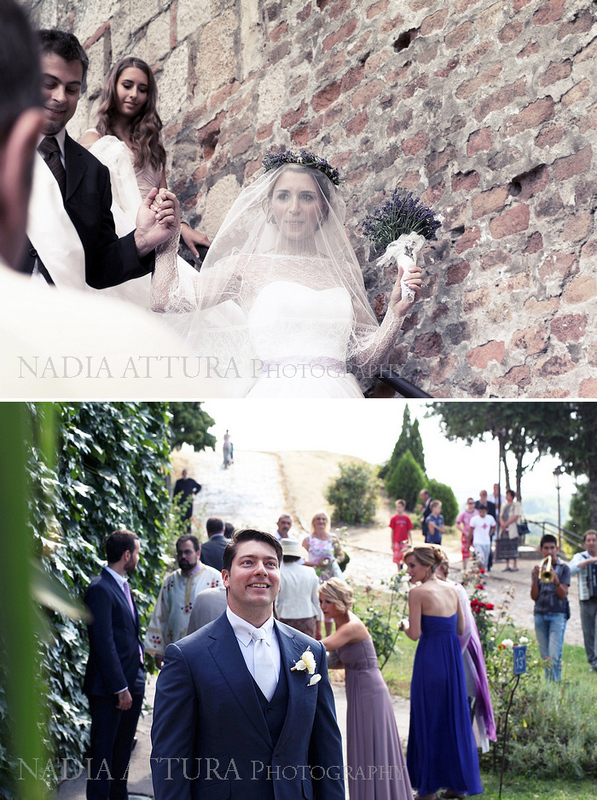 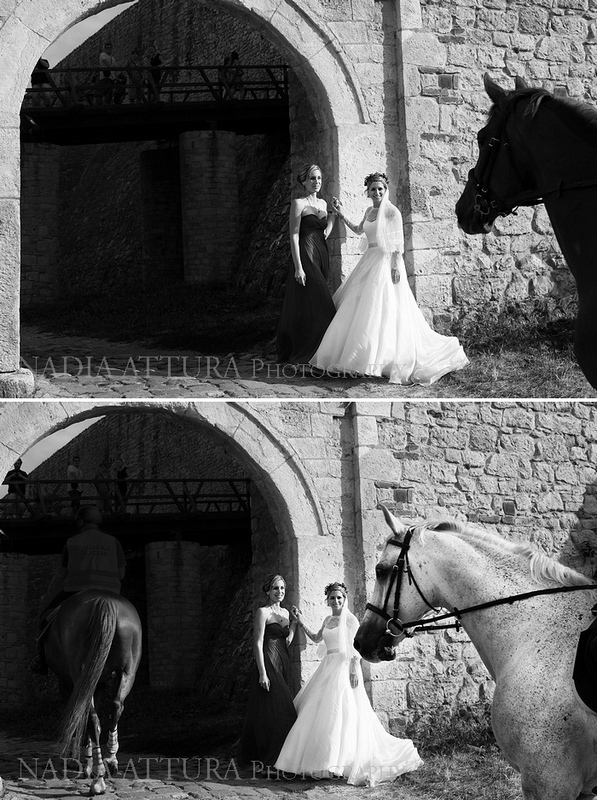 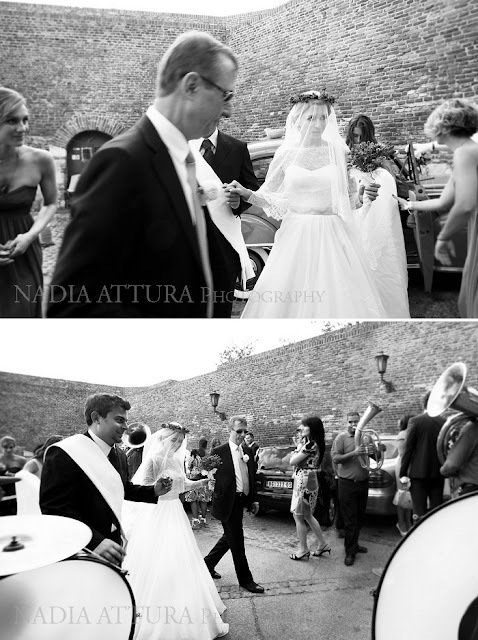 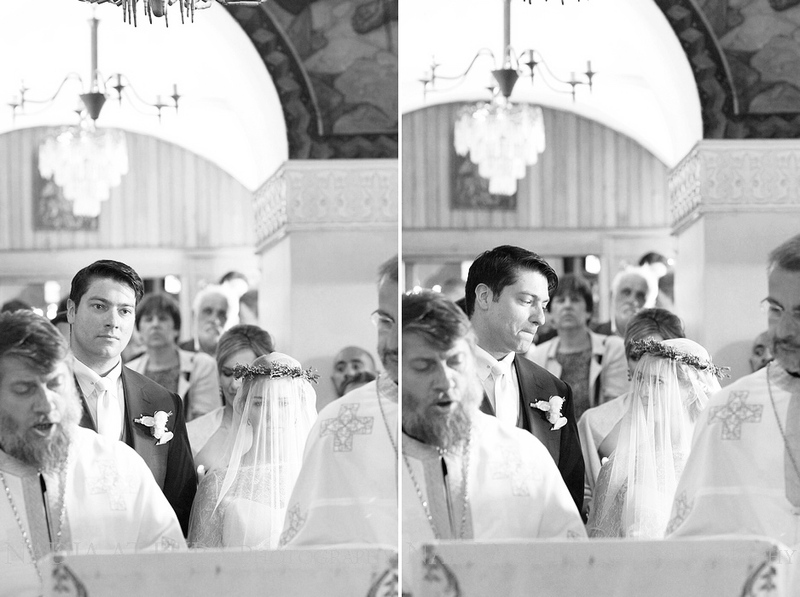 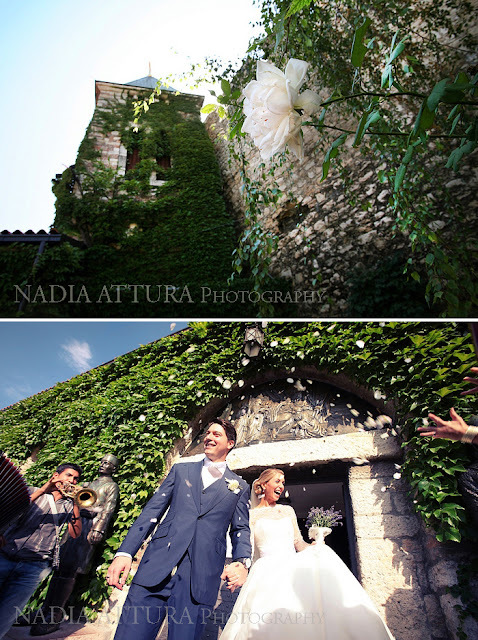 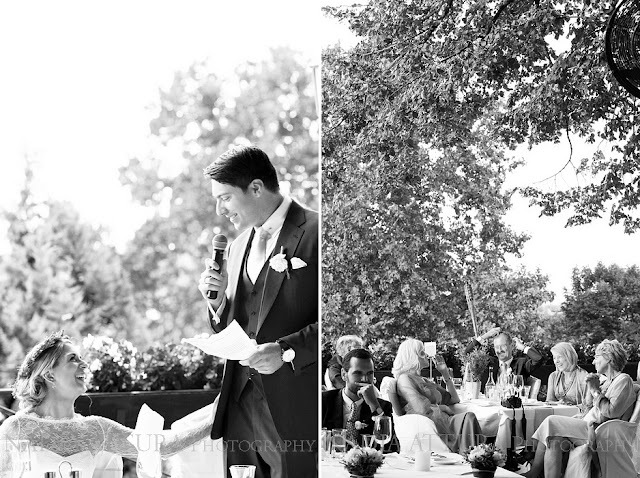 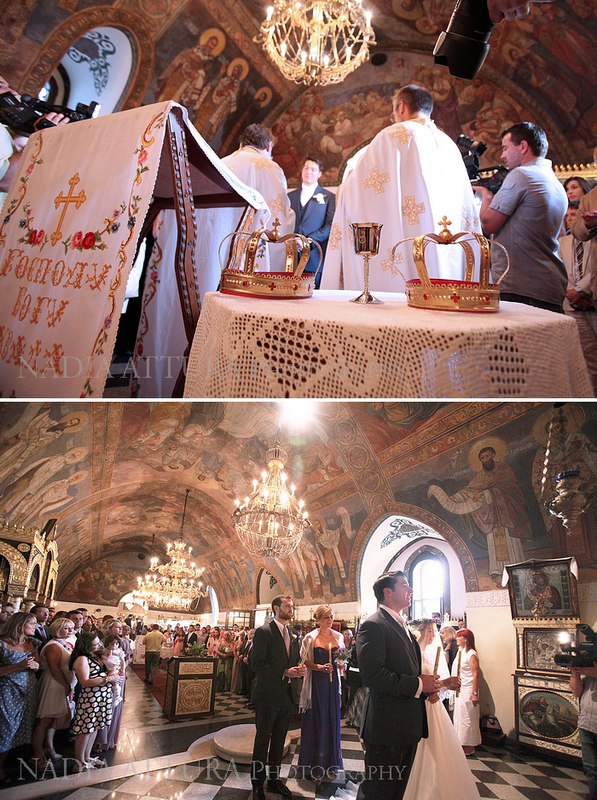 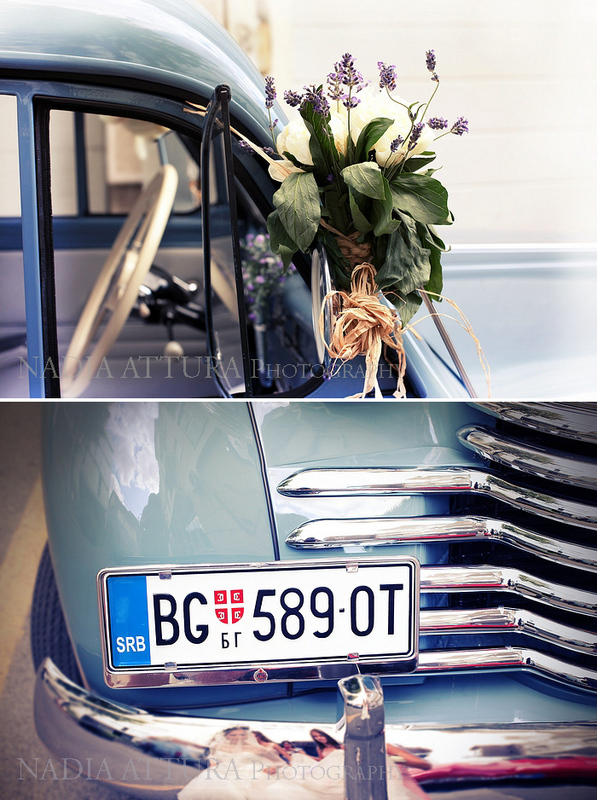 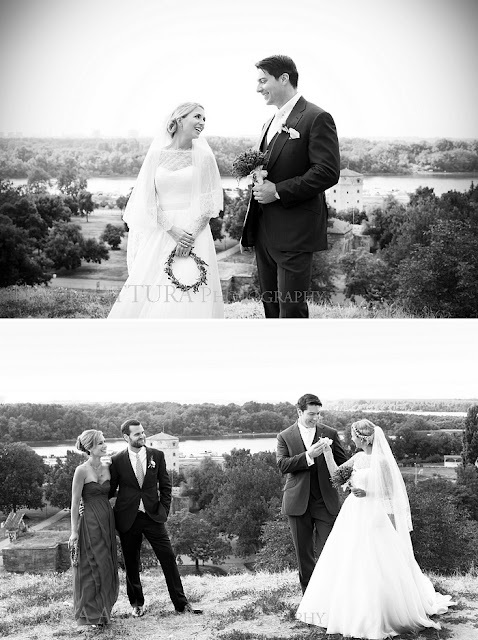 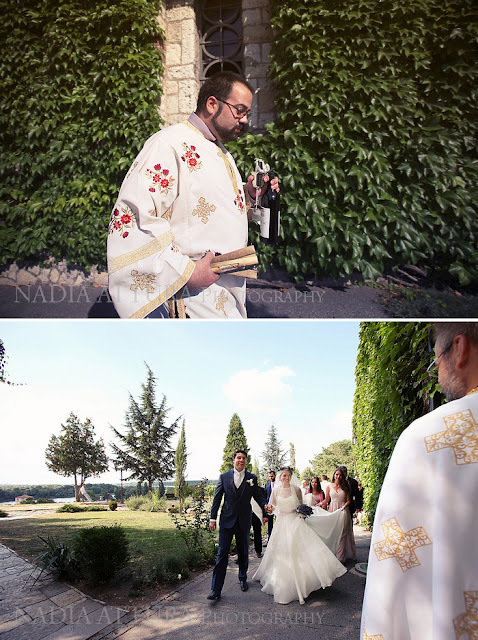 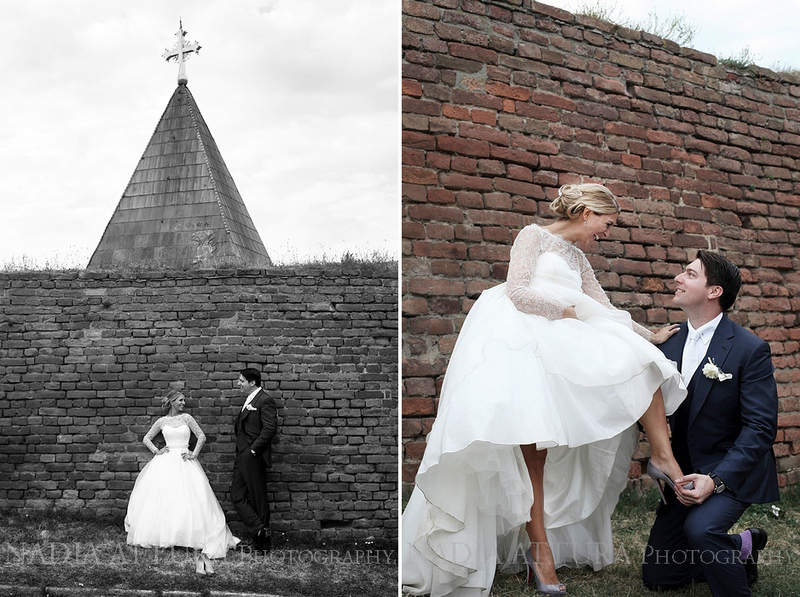 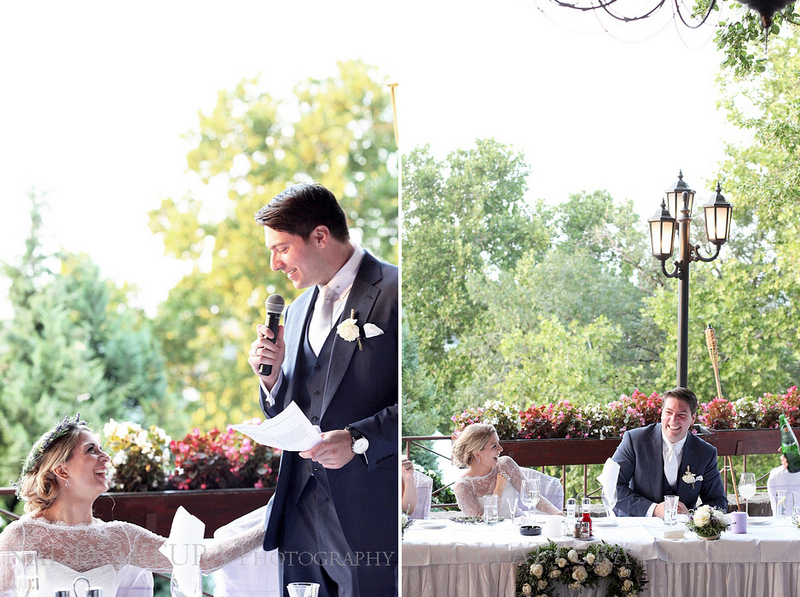 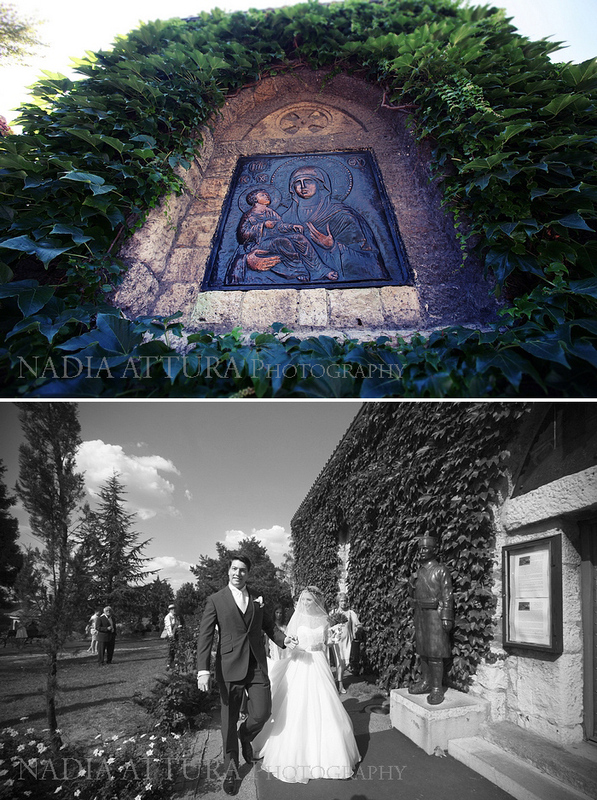 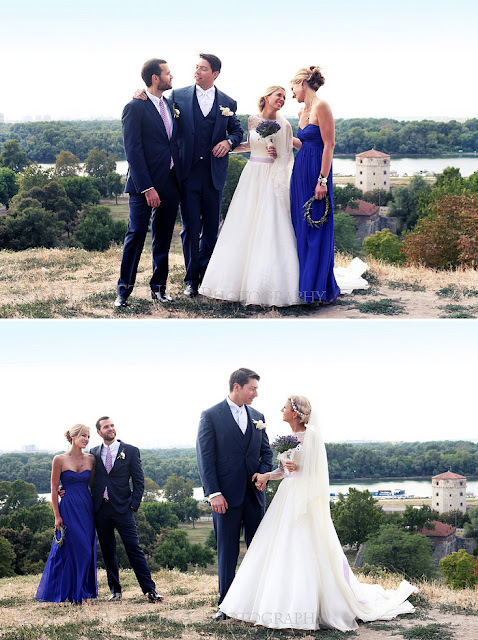 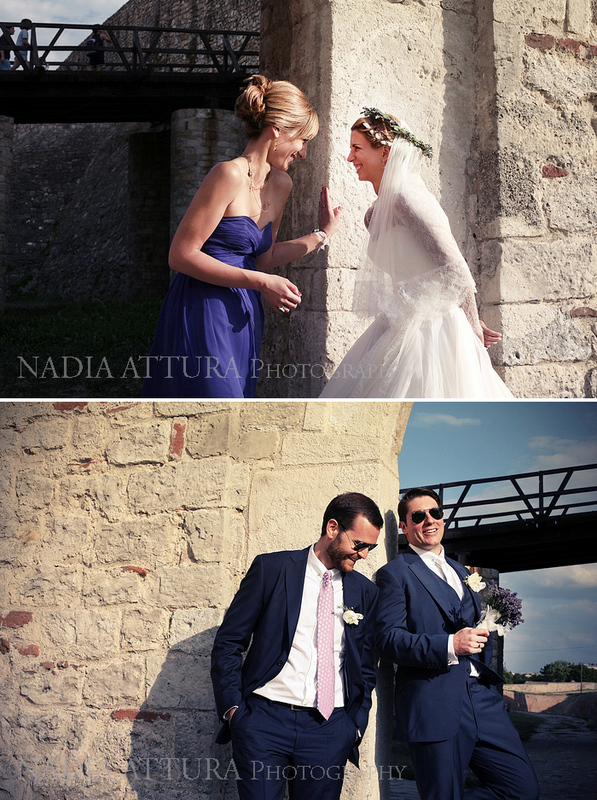 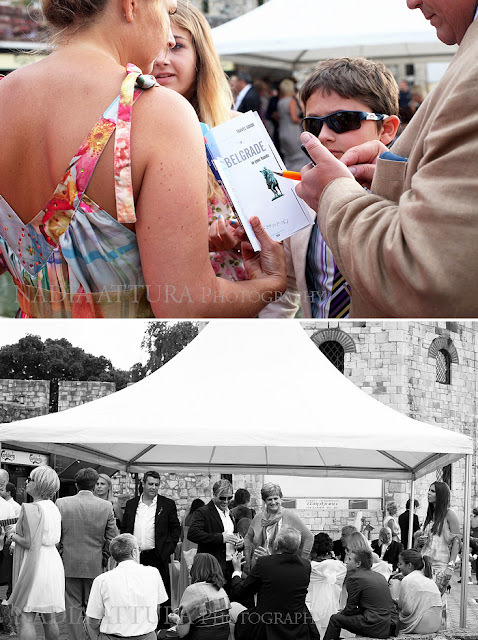 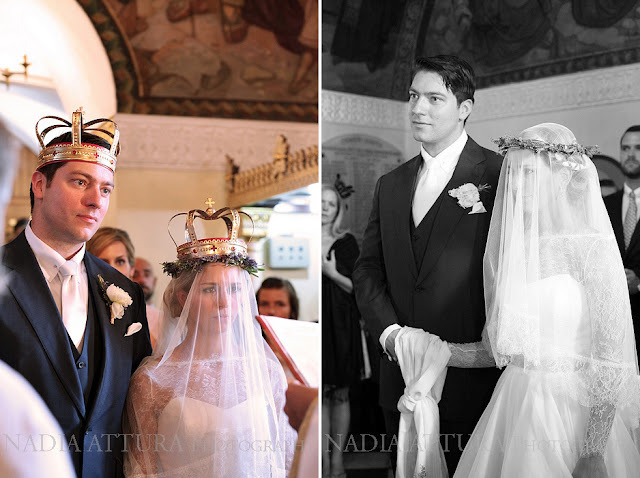 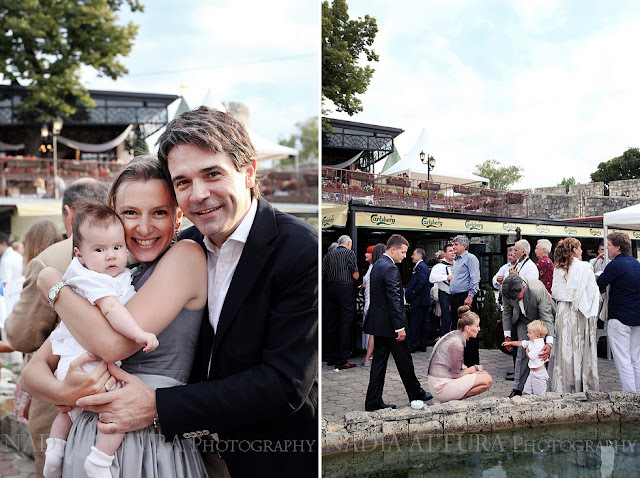 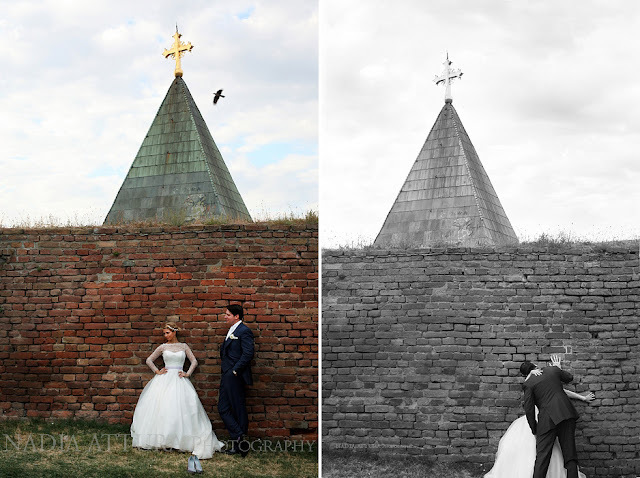 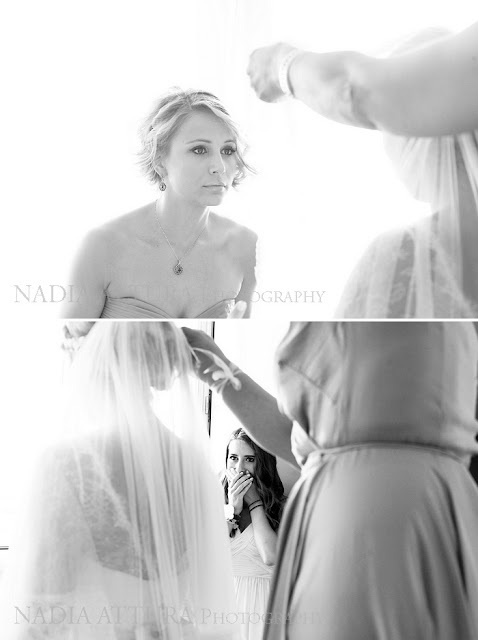 The Byzantine fortress was the fairy tale location to this fairy tale wedding. 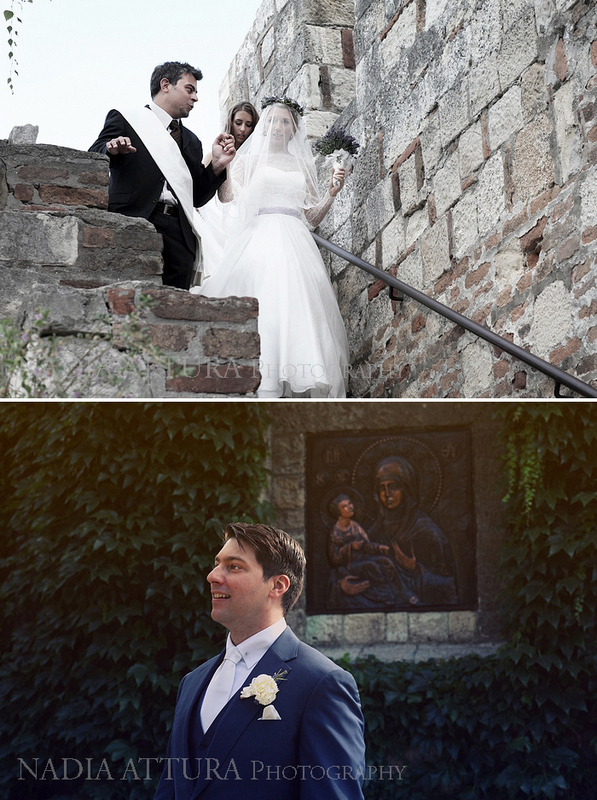 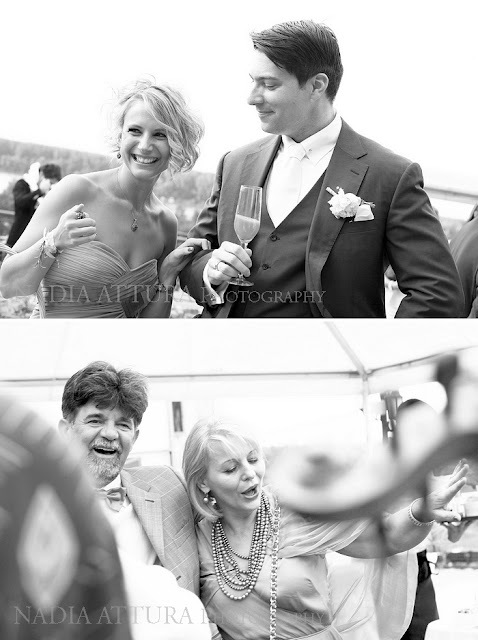 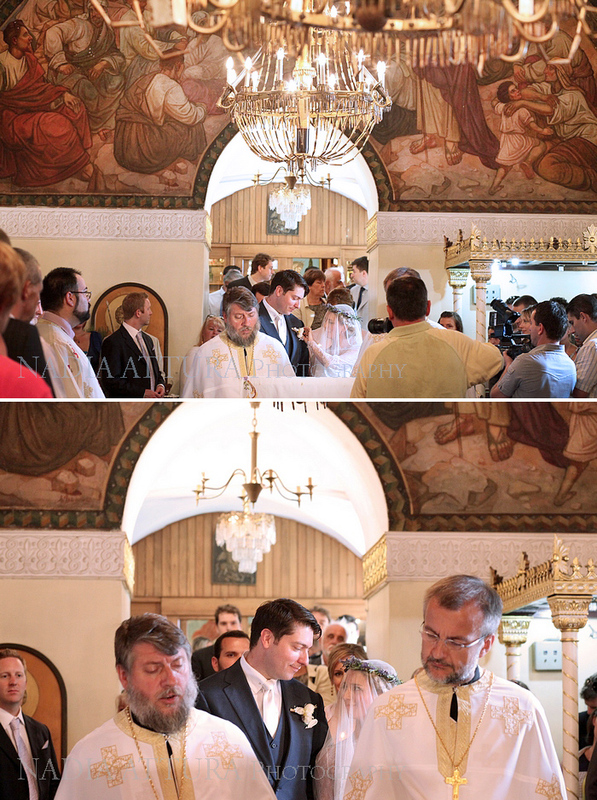 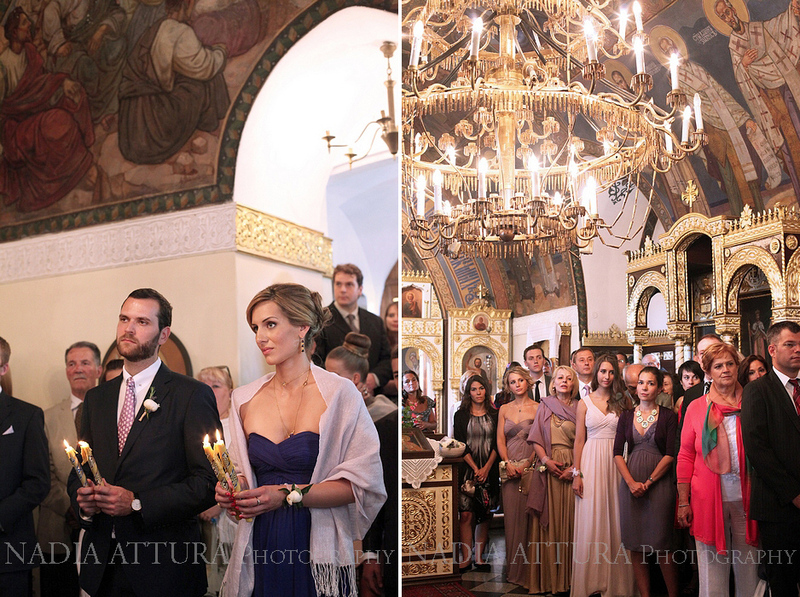 The was intimate ceremony was held in the gold plated icon filled Ružica Church (Rose Church), which was lit full of candles that danced light beautifully across the mosaic walls. It was like living in a giant Byzantine painting. 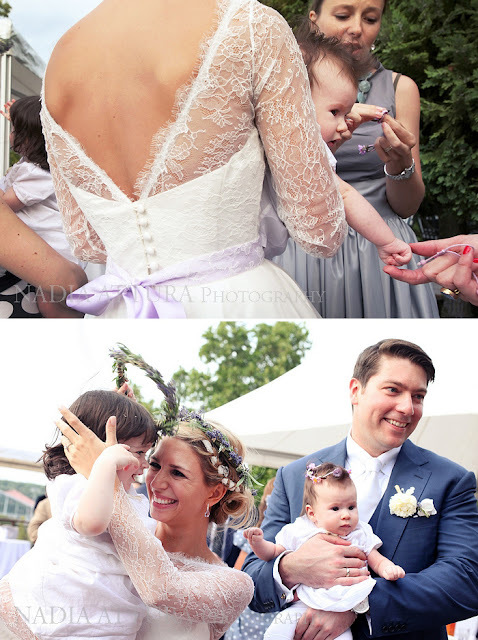 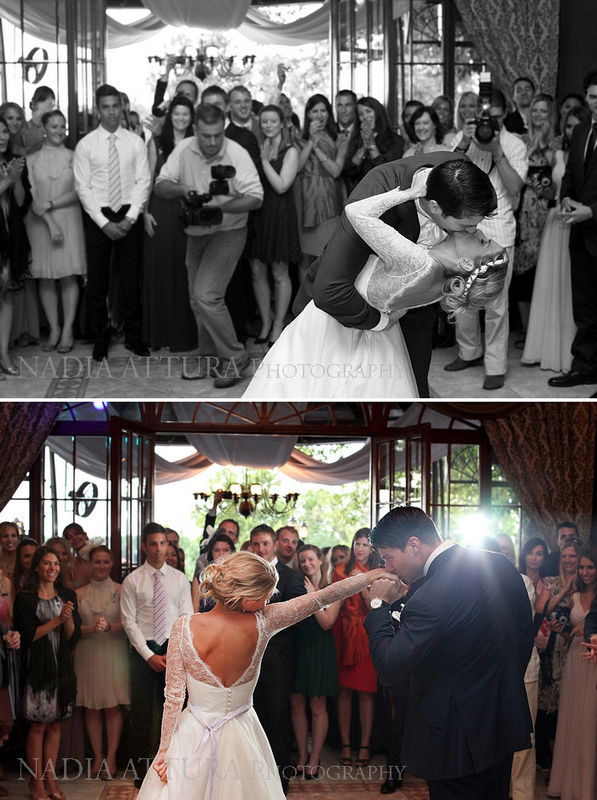 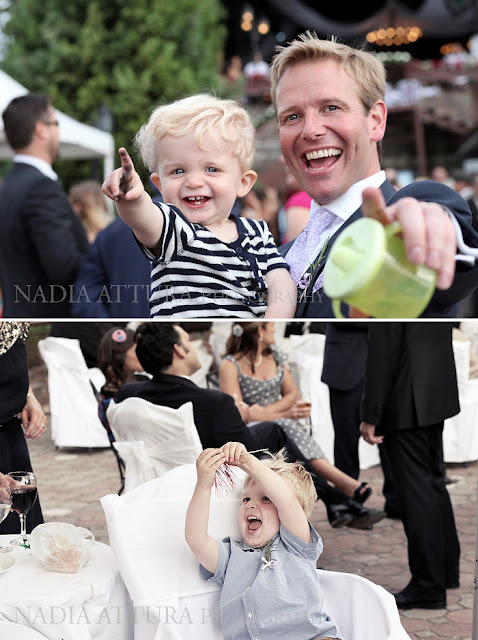 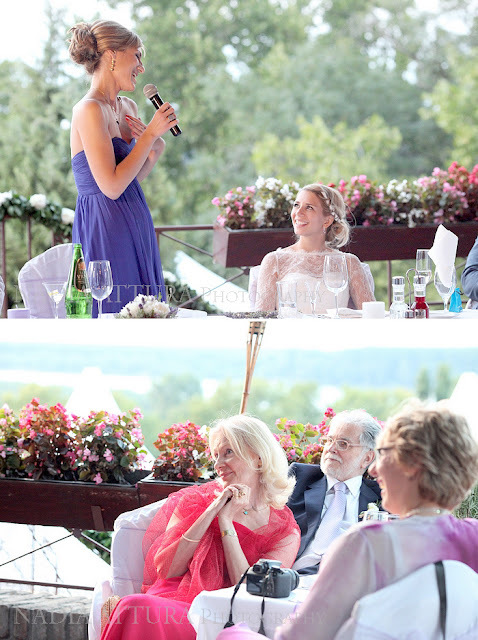 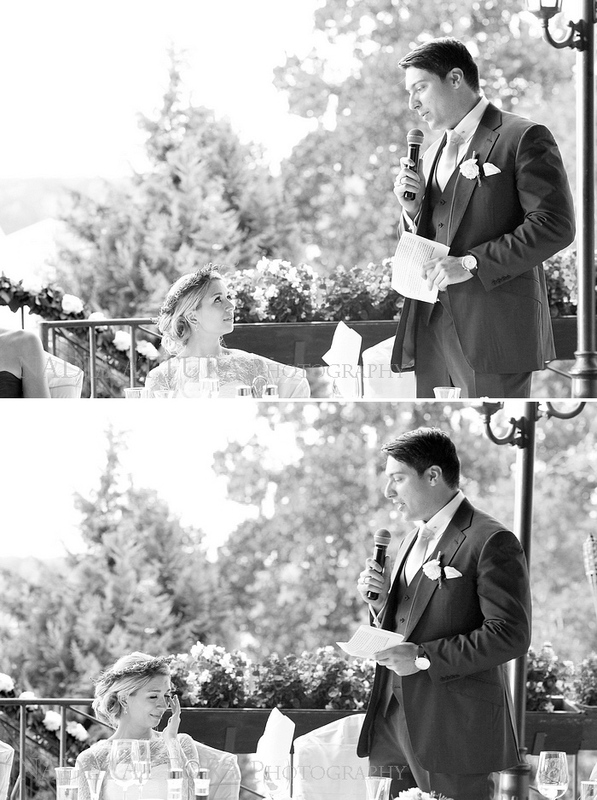 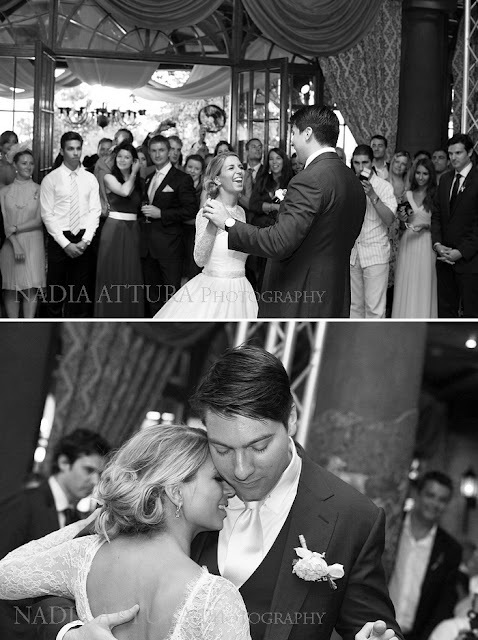 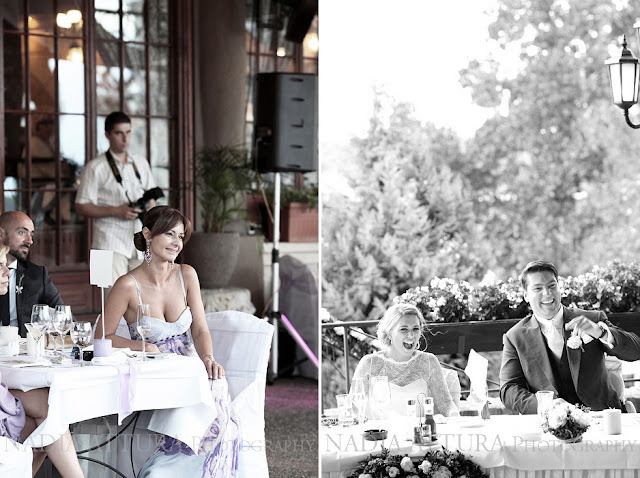 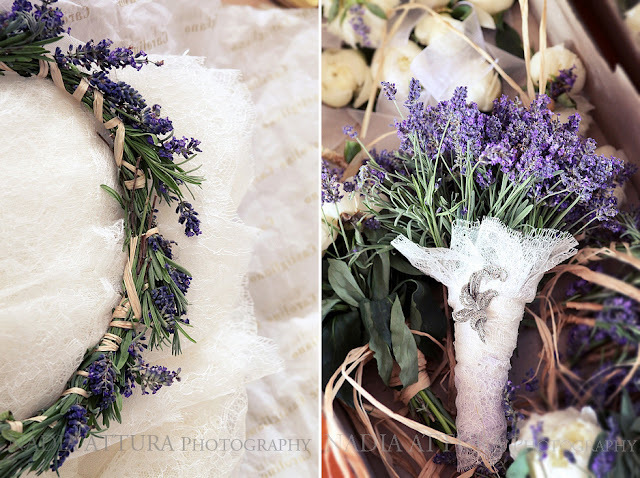 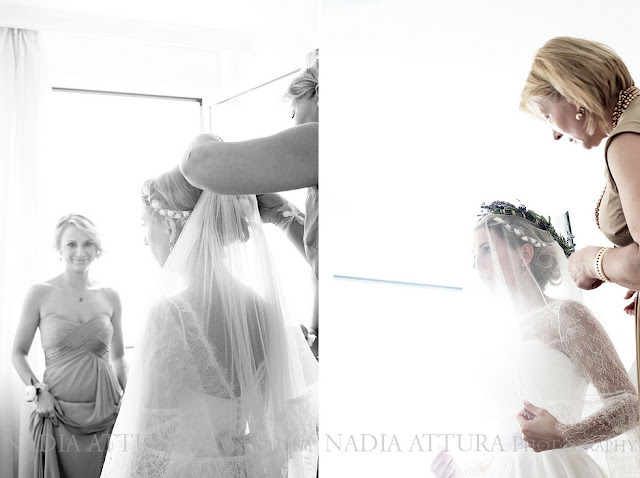 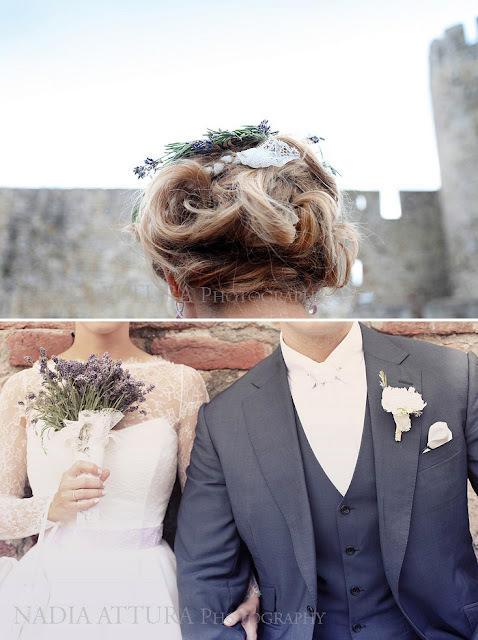 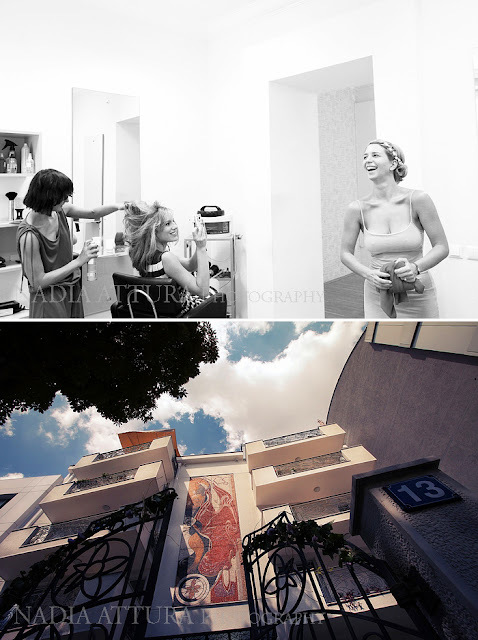 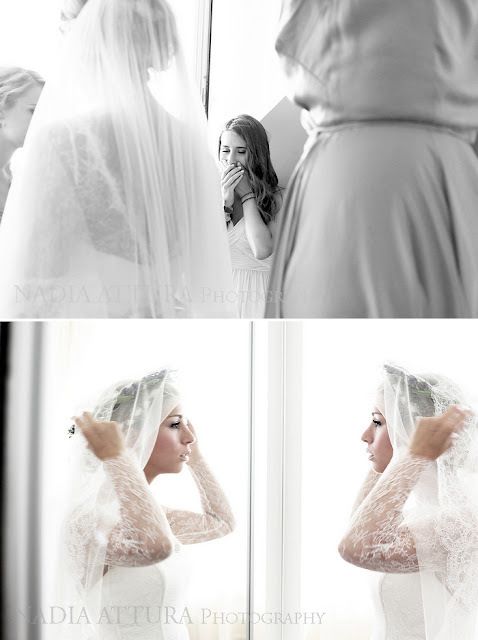 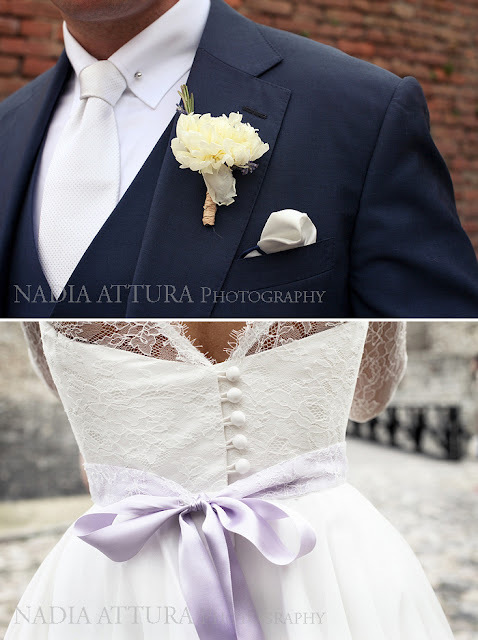 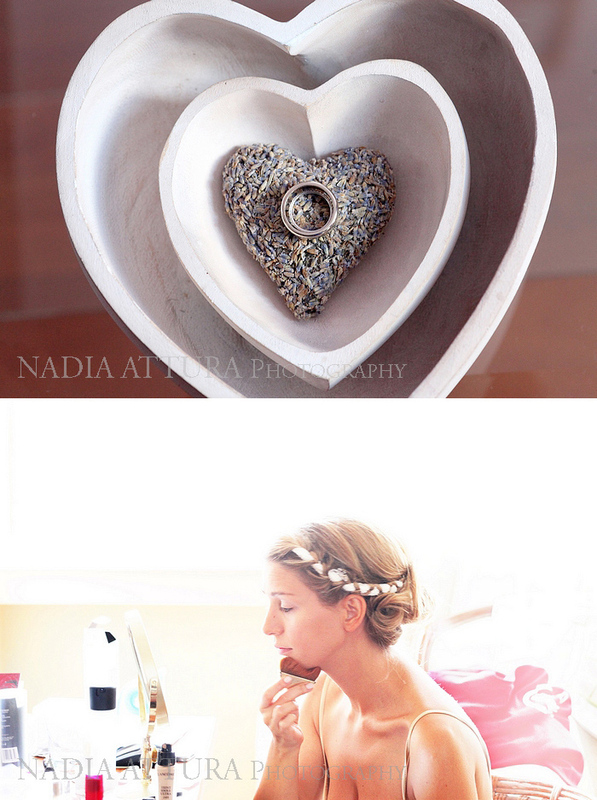 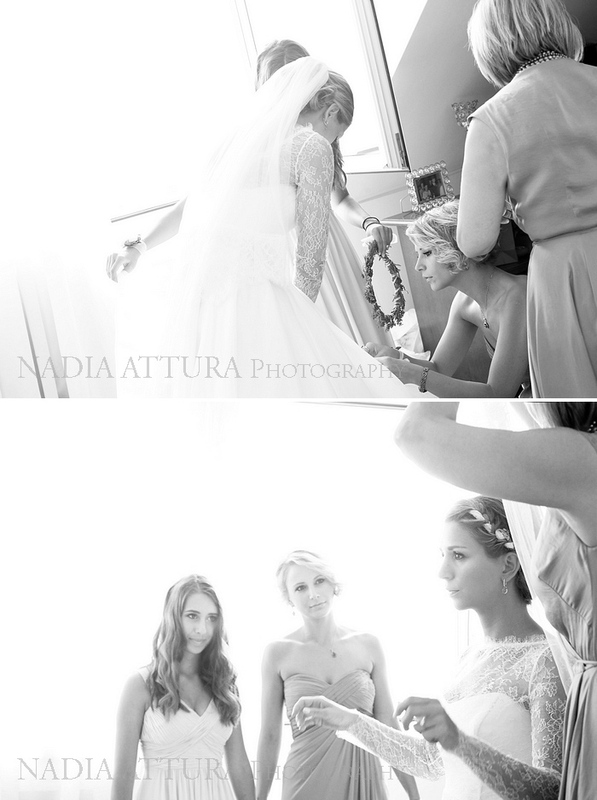 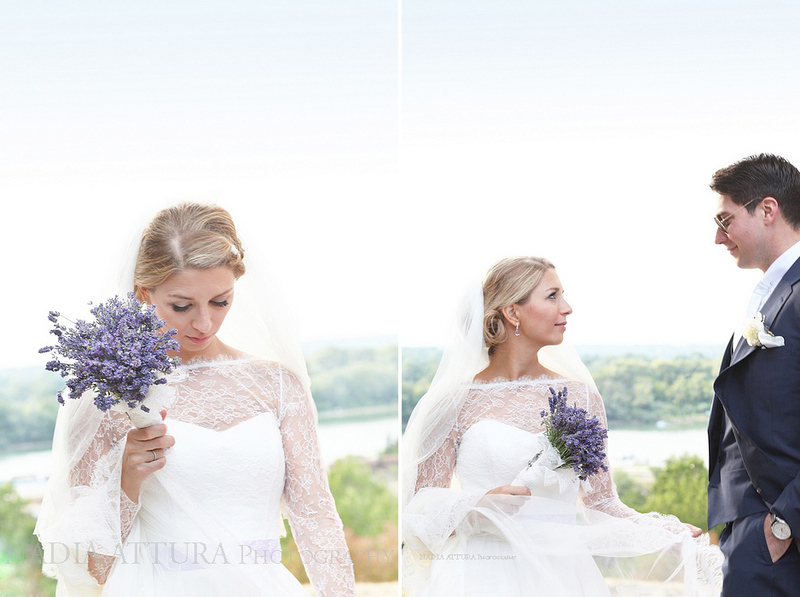 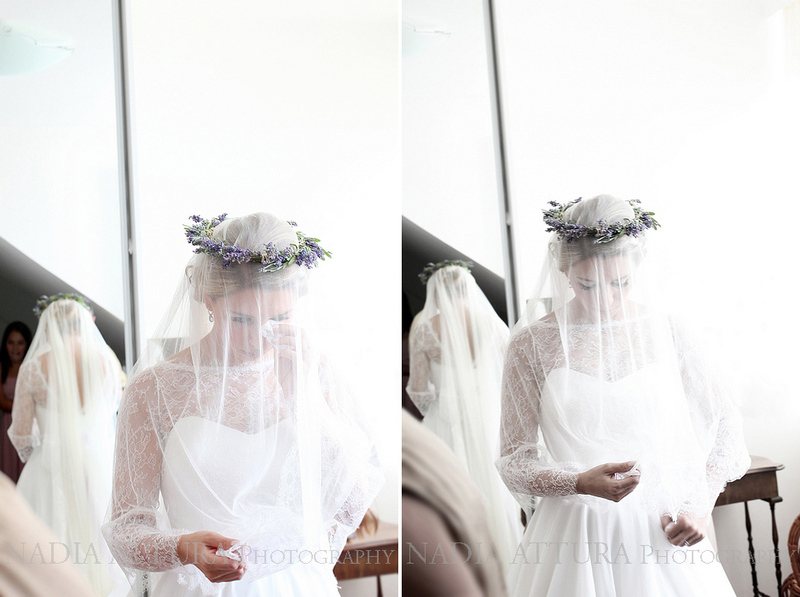 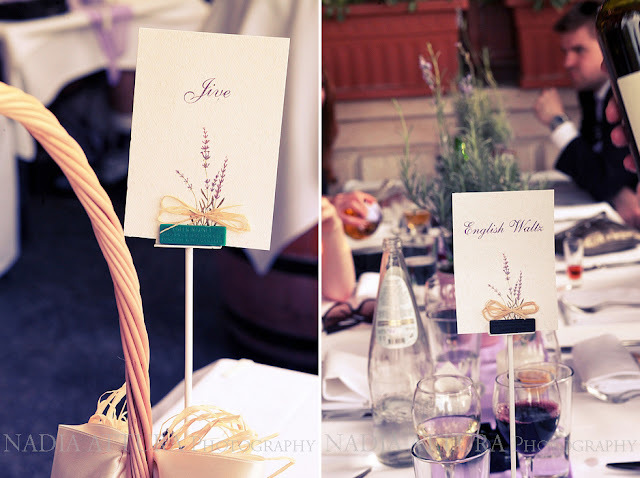 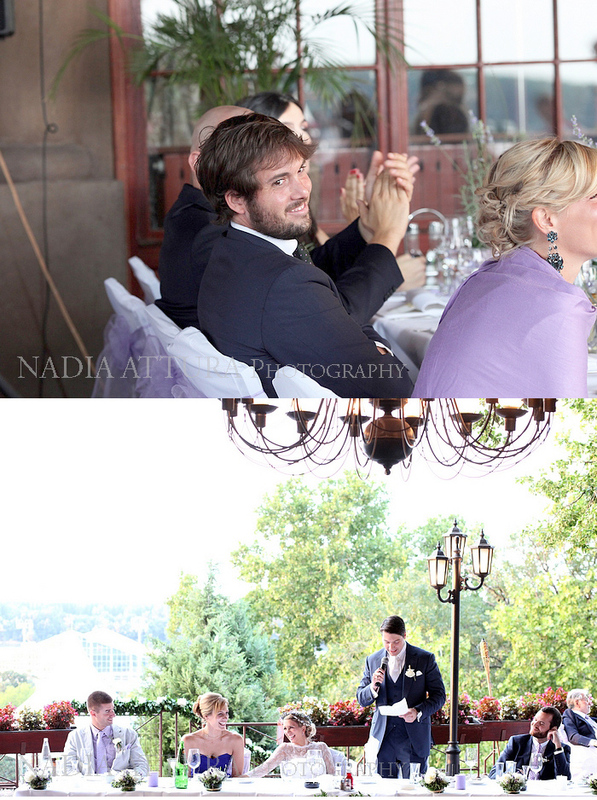 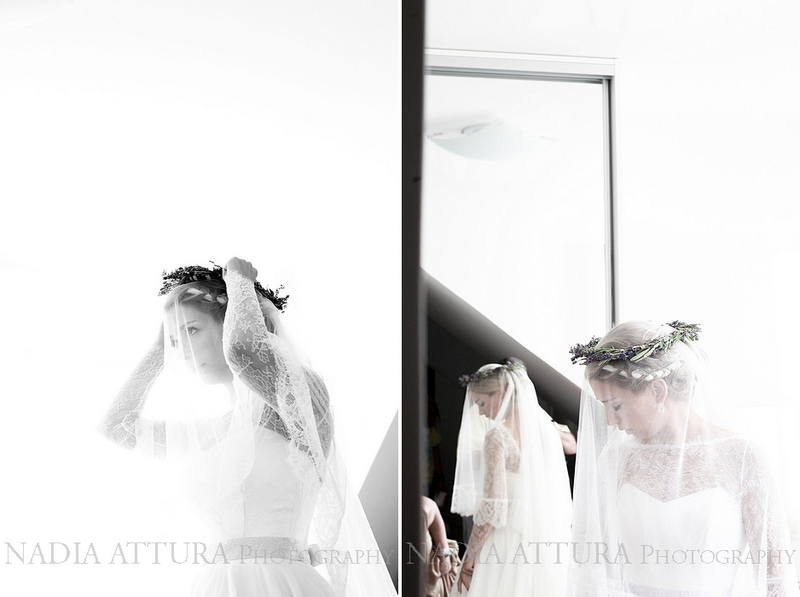 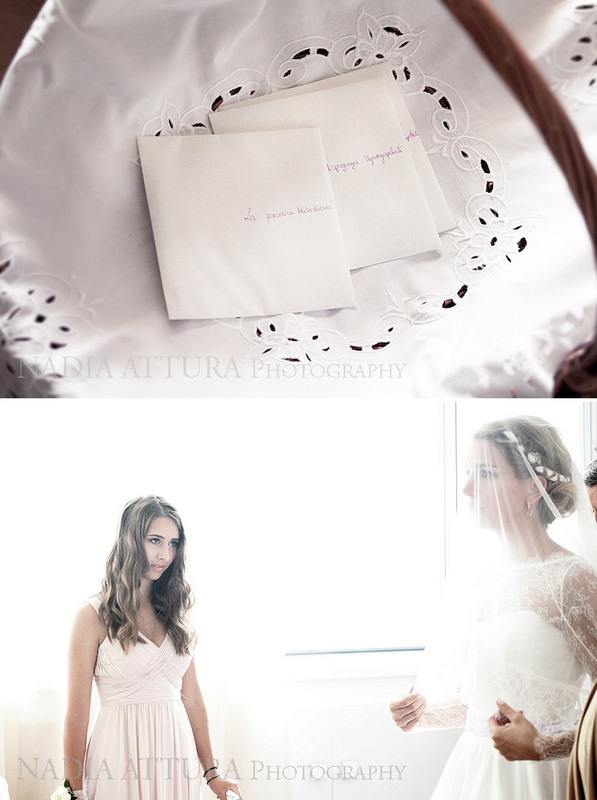 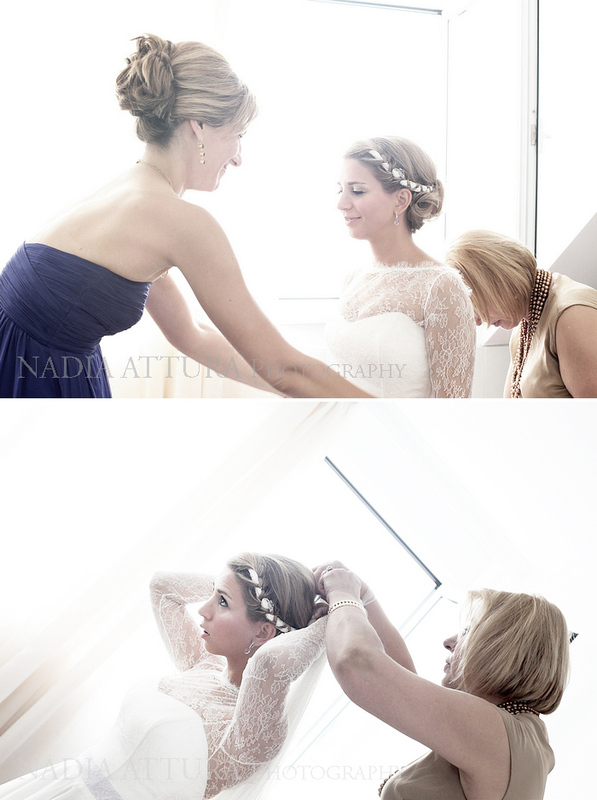 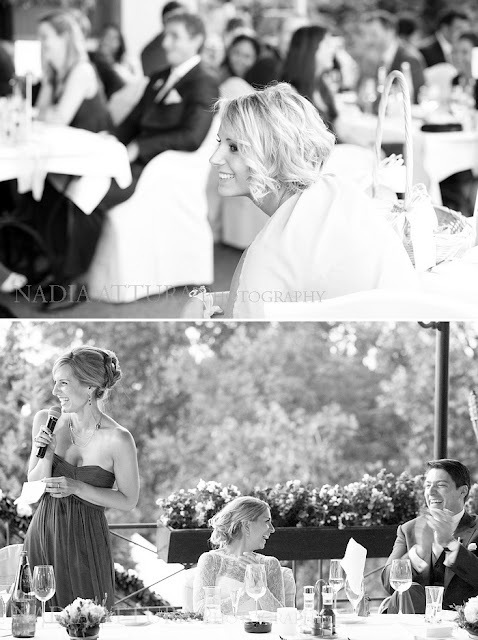 The wedding theme was lavender, lace and traditional home craft which contrasted brilliantly with the grand surrounds. 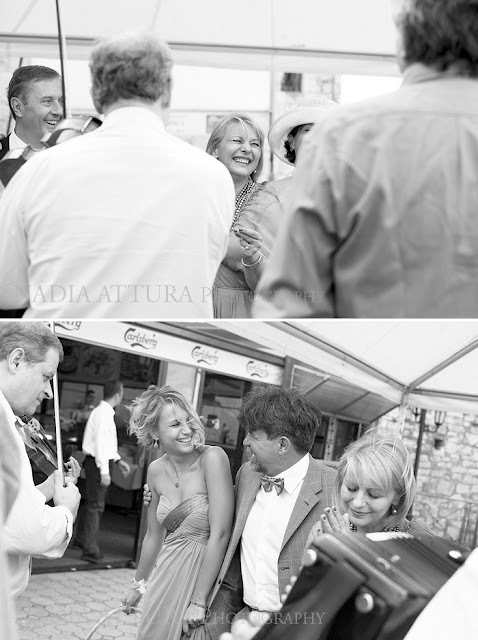 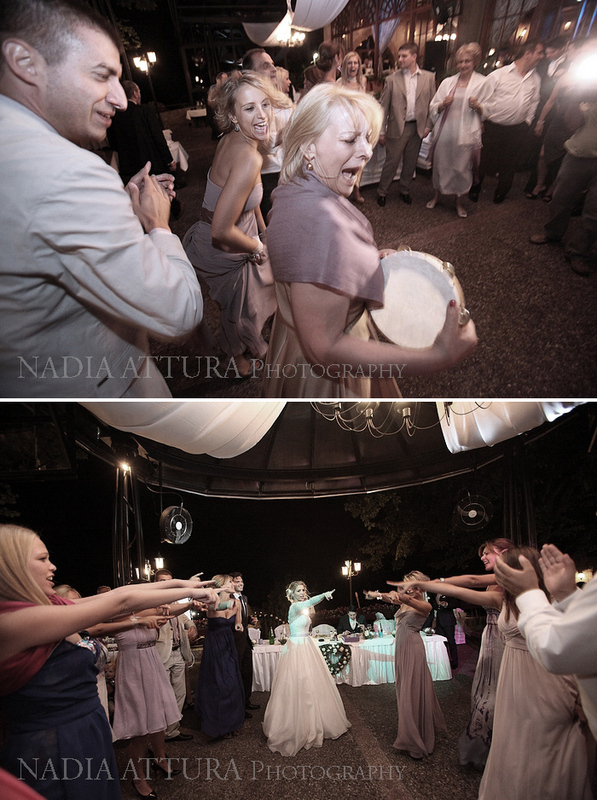 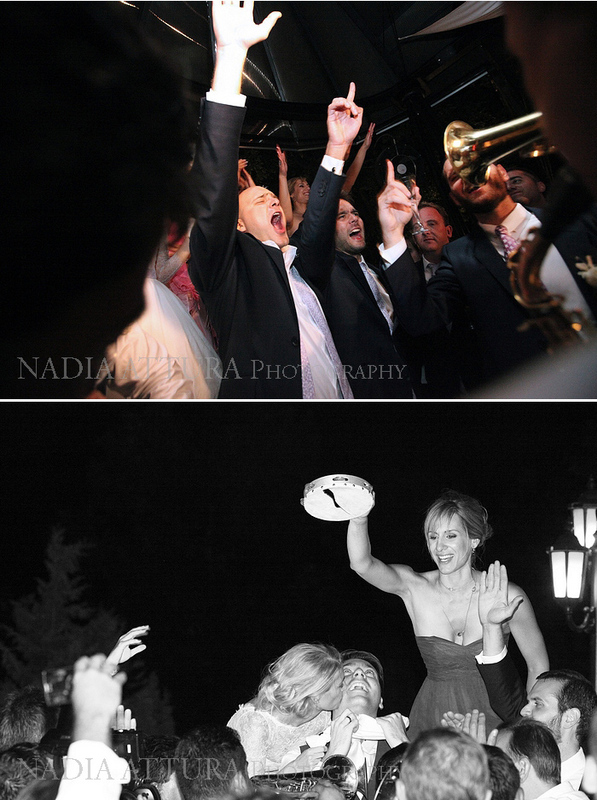 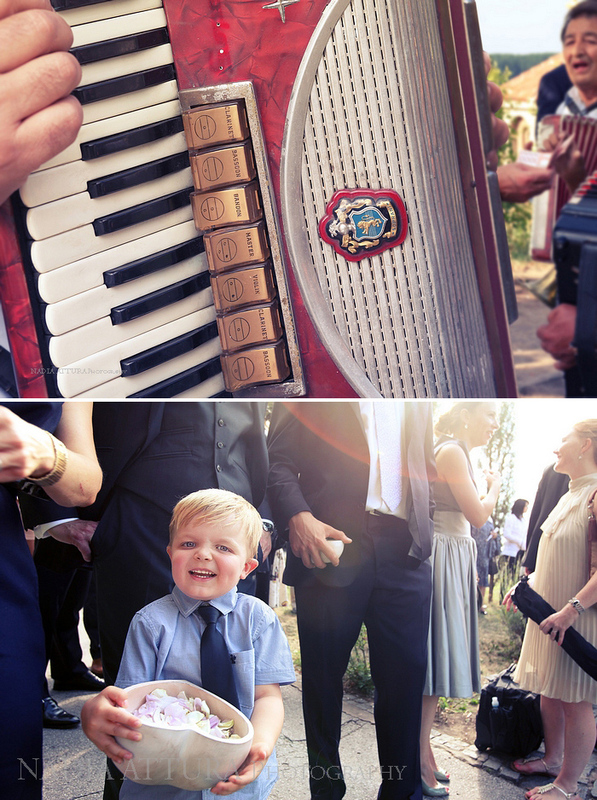 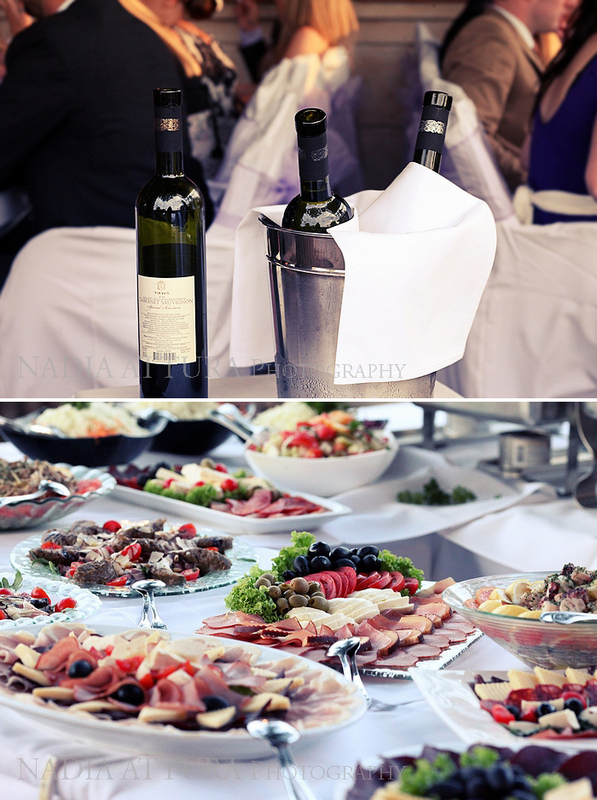 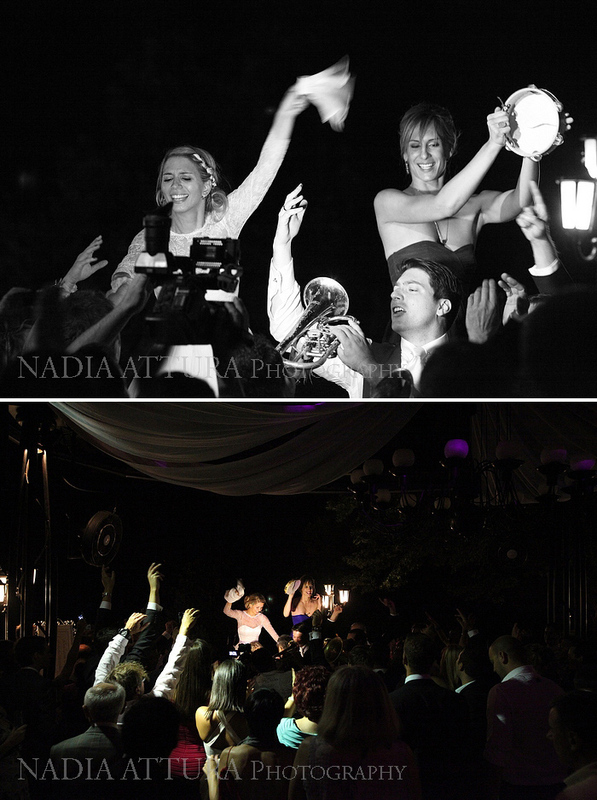 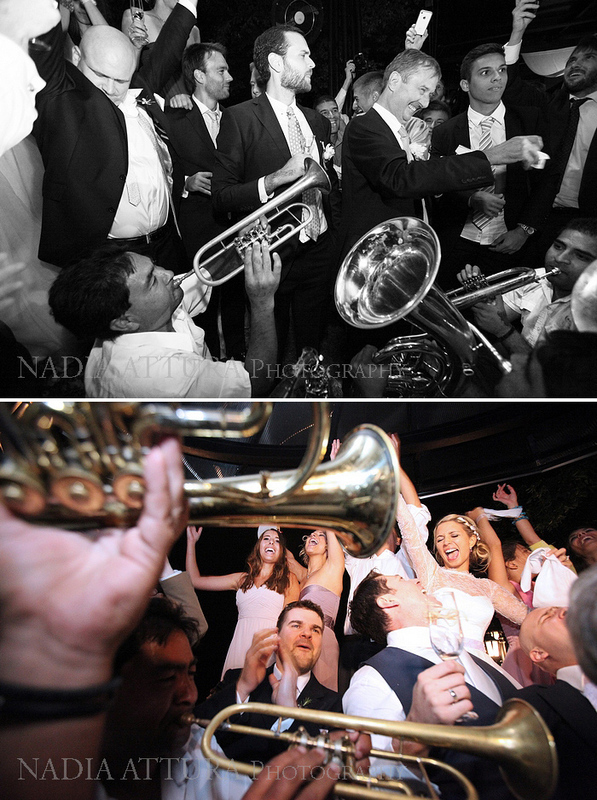 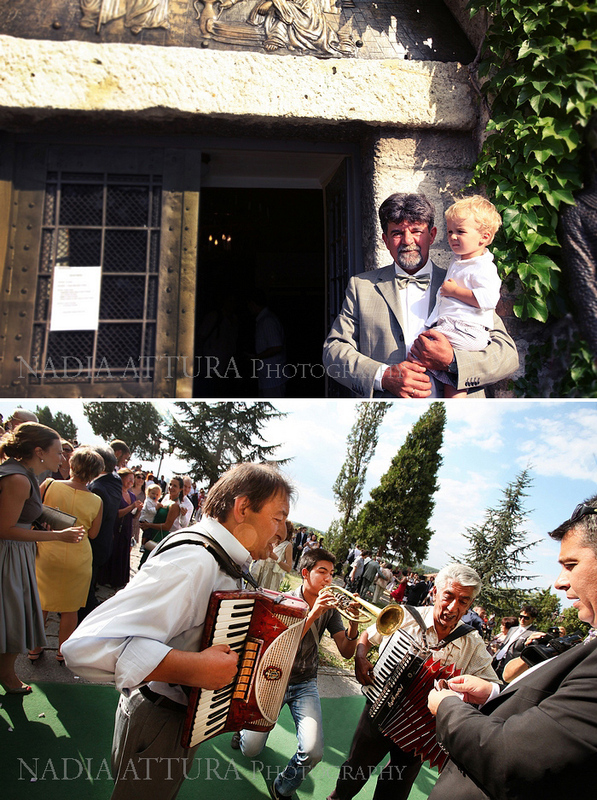 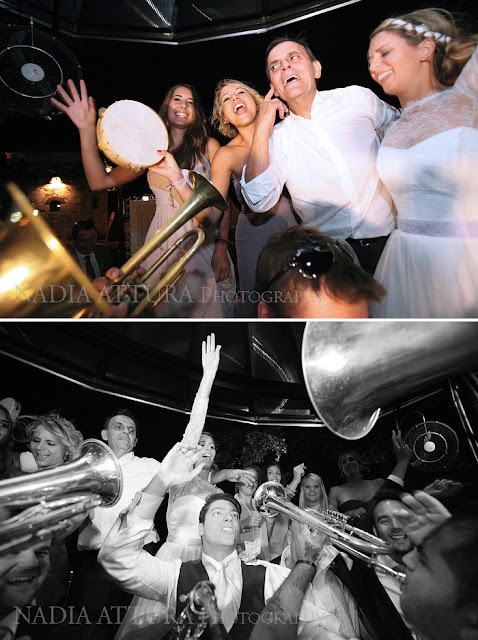 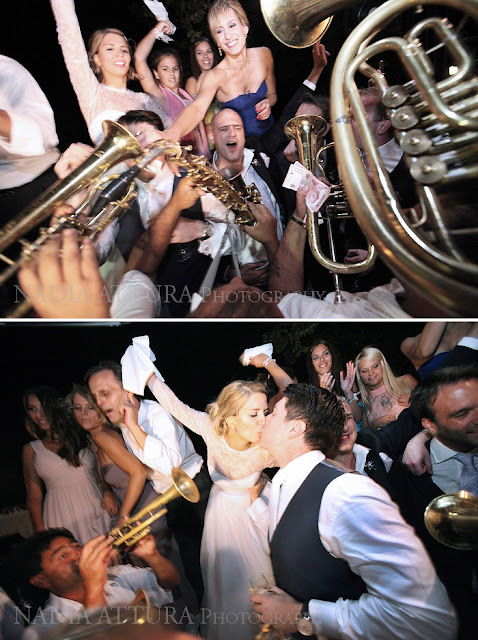 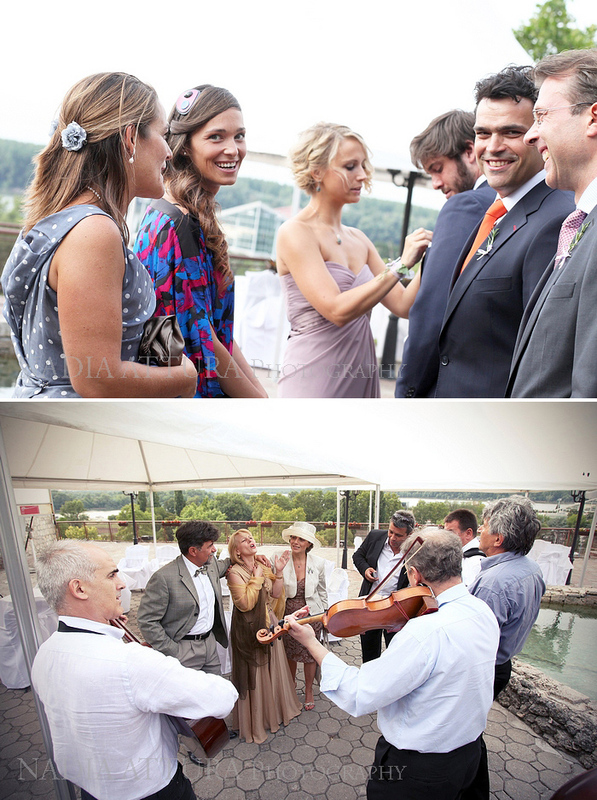 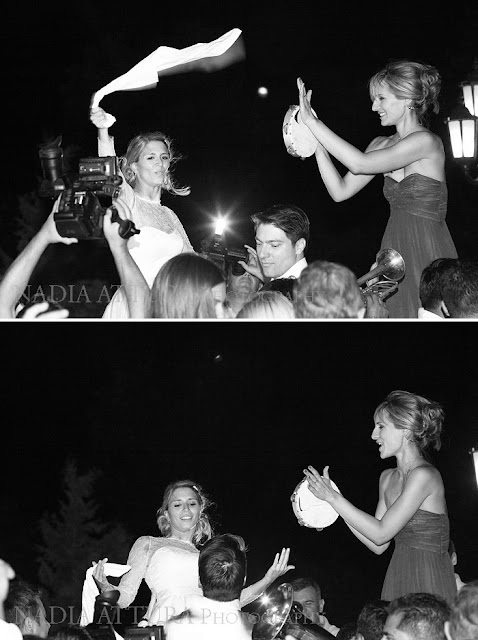 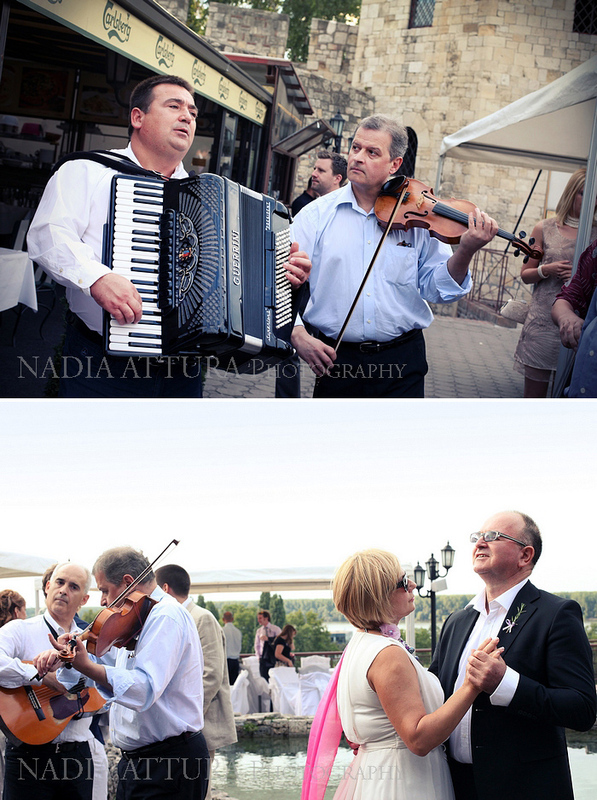 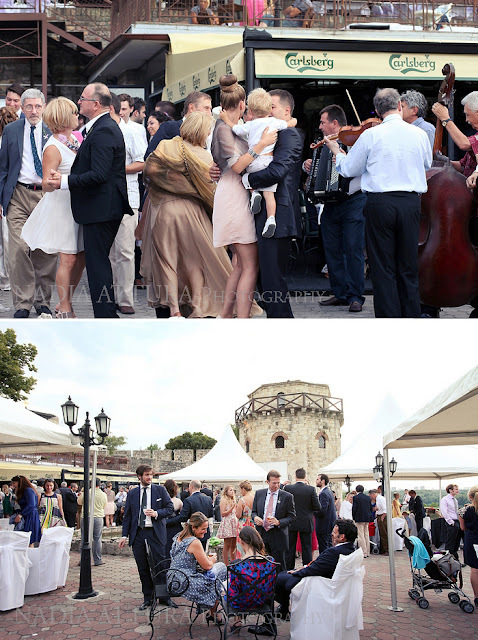 Traditional at Serbian weddings are the Troubadour gypsy musicians who welcome the wedding party at different stages throughout the night. The finale is a crescendo of music and dance. 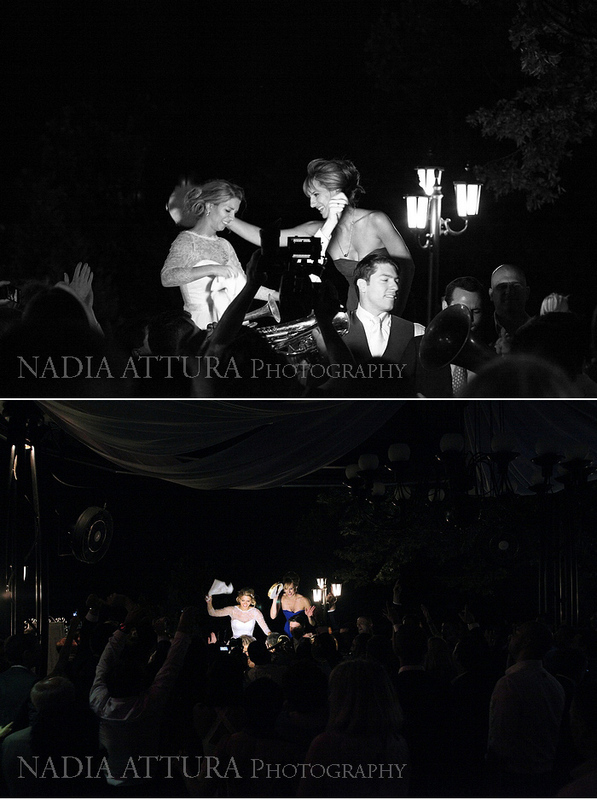 I have never seen deserted chairs at a wedding with everyone on the dance floor and even on the tables partying away Serbian style, it was a dazzling sight.